Seven Filipina models including the daughter of a top Filipino performer Gary Valenciano, Kiana, and Miss Earth 2014 Jamie Herrell have denied access to the Los Angeles Fashion Week. 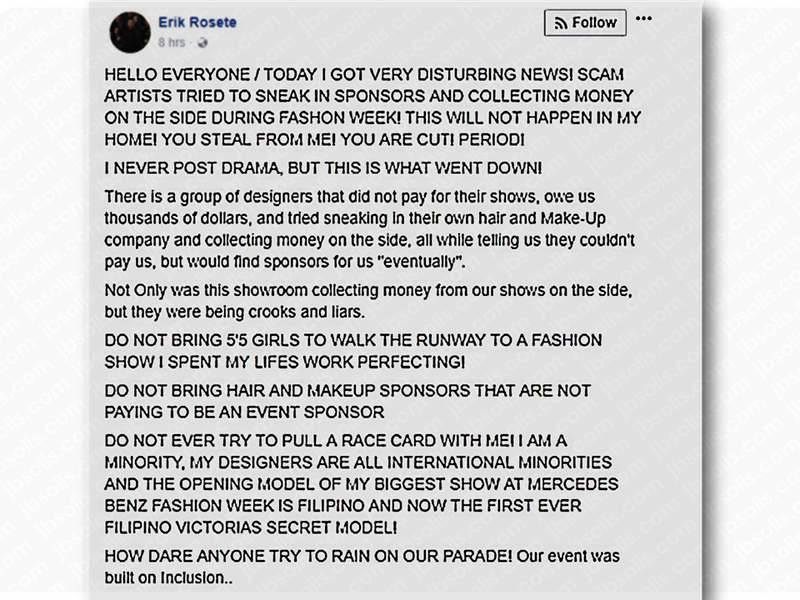 Eric Rosete, the producer of the show, said that he didn’t want Filipino models to walk on his runway show, according to makeup artists Cherry Ordoñez and Alan del Rosario. There were also reports that an LA fashion week staff asked the Filipino models to leave. However, Rosete clarified that the said incident was not about the Filipina models or racism. 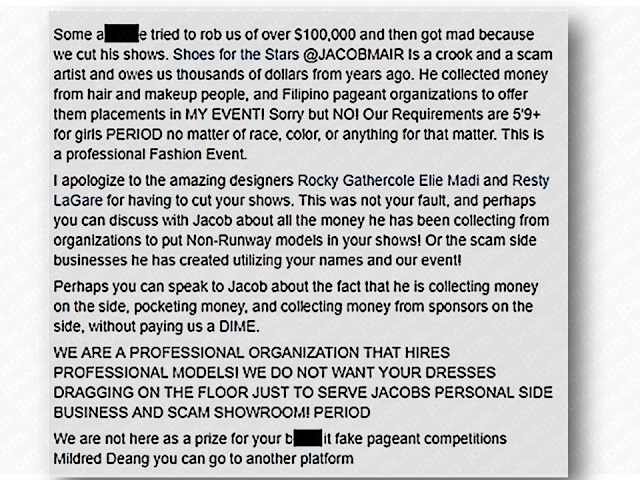 He said that he had problems with Jacob Meir, the Stars Fashion House founder who invited the Filipino models to the show. LA fashion week is on a backlash after one of its shows allegedly banned Filipina models. Fashion label For the Stars Fashion House denied backstage access to singer Kiana Valenciano together with six other Filipino models. Designers Gathercole and Lagare stood by the models and said they will be hosting their show at a later date. The incident has sparked social-media outrage. 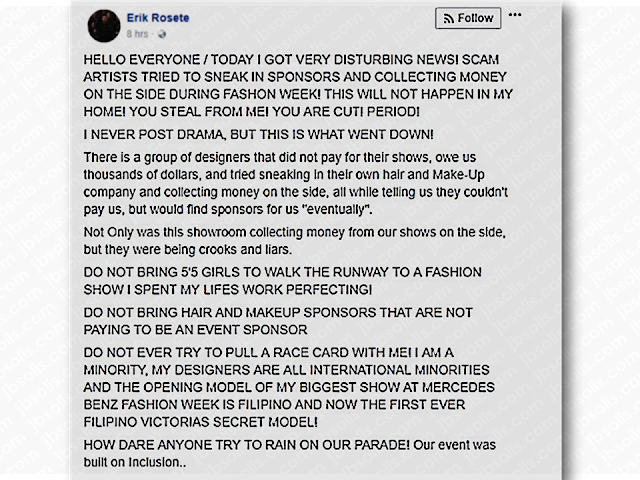 However, Erik Rosete aired his side through a social media post which is now deleted. Meanwhile, the rejection from LA Fashion Week drew criticisms and pageant enthusiast page, The Philippine Pageantry demanded an apology from the organizers for discriminating Filipinos. 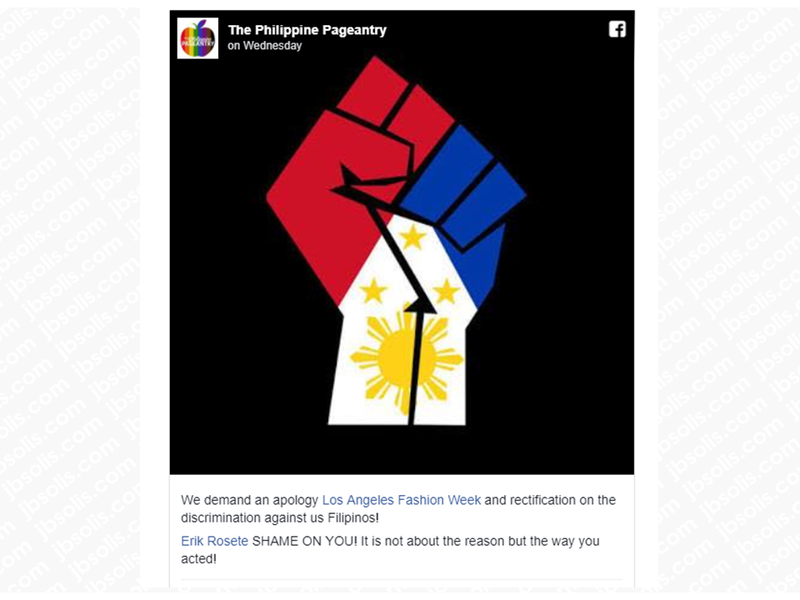 “We demand an apology Los Angeles Fashion Week and rectification on the discrimination against us Filipinos,” the page wrote.